Google is bringing Google Assistant to even more smartphones, and, for the first time, tablets too. 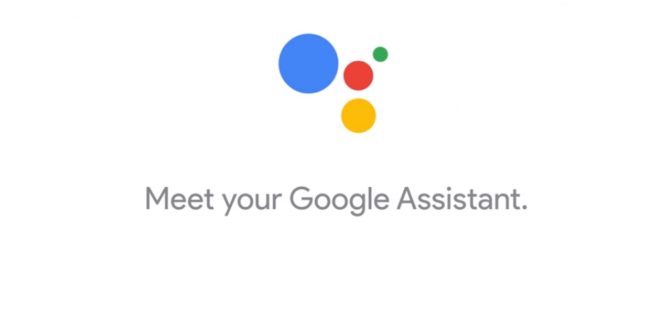 This means that even if you own an older Android handset or budget Android handset you should still be able to start using Google Assistant. Unfortunately, it’s only coming to newer tablets. Assistant was initially only available on the Google Pixel. Then, Google rolled it out to handsets running Android 6.0 (Marshmallow) or Android 7.0 (Nougat). Now, Google Assistant is coming to smartphones running Android 5.0 (Lollipop), and tablets running Marshmallow or Nougat. In February 2017, Google rolled Assistant out to Android handsets Google Assistant Is Coming to More Smartphones Google Assistant Is Coming to More Smartphones Google is beginning to roll Google Assistant out to more smartphones. Unfortunately, the majority of Android handsets are not included in this initial rollout thanks to fragmentation. Read More running Marshmallow or Nougat. And while it was satisfying to see Assistant reaching more users, almost 50 percent of Android users are still using an older version of Android. Which means no Google Assistant. Now, however, Google is bringing Assistant to Android handsets running Lollipop. And given the current levels of Android fragmentation, that might well include you. You can check what version of Android your device is running by clicking Settings > About > Software Information. Android tablet owners haven’t been forgotten either, with Assistant coming to tablets running Nougat and Marshmallow. Unfortunately, this is currently limited to “users with the language set to English in the U.S.” And there’s no word yet on if or when other countries will be added. Google Assistant is a thing of beauty. Once you learn its many and varied capabilities 10 Things You Didn't Know Google Assistant Could Do 10 Things You Didn't Know Google Assistant Could Do Android's version of Siri---Google Assistant---is more powerful than most people realize. Read More it can aid you in many facets of your life. Which is why it’s so satisfying to see Google bringing Assistant to older phones and newer tablets. Now, if only Google could fix Android’s fragmentation problem. What version of Android is your smartphone or tablet currently running? Have you already got access to Google Assistant? Or will this be your first shot at using Assistant? What do you think of Google Assistant and its capabilities? Please let us know in the comments below! Explore more about: Android Tablet, Google, Google Assistant. Hey. How do smartphones with Android 5.0.2 get Google Assistant? I even installed the Google Assistant Launcher, but it said "No Google Assistant". What's the difference between Google app and Google Assistant? My 2013 Nexus 7 tablet received Assistant yesterday. There seems to be some issues between Assistant and the microphone, but hopefully that will be resolved soon. Which country. And how did you get the assistant and what are the procedures? In the US. Honestly, I didn't do anything. An assistant setup screen suddenly popped up while I was browsing on my tablet. Apparently it was a background update. I'm enrolled in Google beta, so maybe that or simply the fact it's a Nexus had something to do with it.